Saturday was the 50th anniversary of the first flight of the Boeing 747, and that got me thinking about how far we’ve come. Taller than a six-story building, the 747-100’s 195-foot wingspan was 75 feet wider than Orville Wright’s first flight at Kitty Hawk. Since then Boeing has produced 22 isotopes of the 747 for a total of over 1548 with another 24 747-8s on order for customers like UPS. The US government owns a couple as well including a pair of 747-200s which the Air Force prefers to call VC-25s and when the president is aboard, Air Force One. They’ve also had another 4 747-400s which serve as the National Emergency Airborne Command Post on a day we hope never comes. 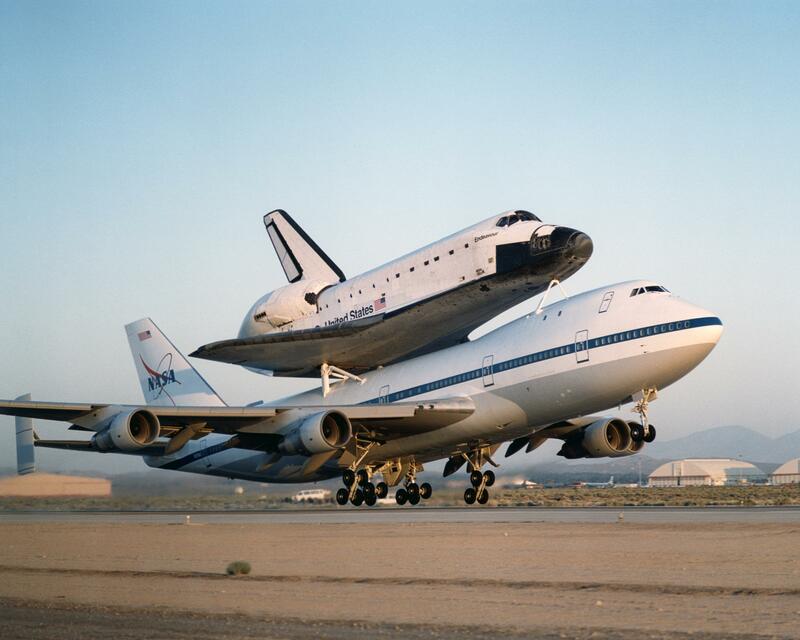 NASA has had 3 747s in its fleet over the years. A pair of 747-100s were purchased from Japan Airlines and American Airlines, fitted with additional vertical stabiles at the tail, reinforcements along the fuselage and three mount points to give the shuttle a piggyback ride home to Florida after landing in California and even once from White Sands New Mexico when heavy rain flooded the Edwards Air Force Base runways. One of those mount points reads, “attch orbiter here, note: black side down”. A little aerospace humor. The shuttle carrier aircraft were retired with the shuttle fleet but are on display. One at Space Center Houston, and the other in Palmdale California, which is home to the final flying NASA 747, we call her SOFIA. The Stratospheric Observatory for Infrared Astronomy (SOFIA) is a 747 SP for special performance, this long-range aircraft was acquired by NASA in 1997 after a 20 year career with Pan Am and United. 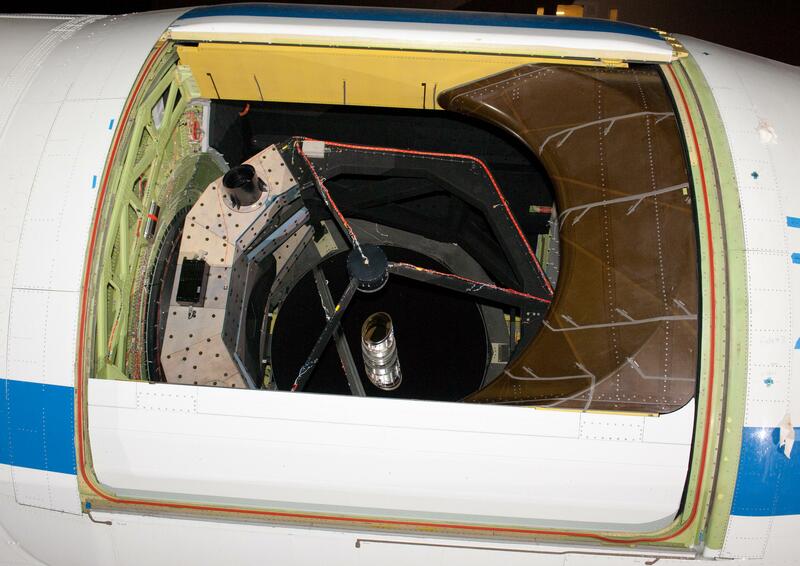 NASA sealed off the back 3rd of the fuselage, cut a hole in the side the size of a triple car garage and fitted a ton and a half door that opened in flight to reveal a 17 ton telescope in side. About the size of the Hubble space telescope, scientist use the 8.1 foot meter telescope to view deep into dusty gas filled star nurseries in infrared light. Infrared’s longer wavelengths pass through those dusty regions, but cant be observed from the ground because water vapor in the atmosphere is very good at absorbing infrared radiation. SOFIA generally flies for 9-10 hours through a dozen or two states and Canadian provinces to study 3 to 4 targets before returning to NASA Armstrong Flight Research Center in Palmdale. This also includes observations of a well-known star like Vega or Sirius or even one of Jupiter’s moon, to help calibrate the observations to cancel out as best as possible the remaining 90+ kilometers of the thin atmosphere above. Studies of the southern part of the sky are based part of the year out of Christchurch New Zealand.